Jeff has 17yrs of experience in the Financial Services Industry. 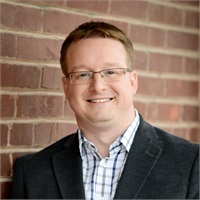 Graduating Baylor University with a degree in business in 1999, Jeff immediately started working with clients one of the largest and most respected financial institutions in the country. Seeing first hands the difficulty that the limited tools he had to work with caused when trying to help clients through a devastating bear market, Jeff pivoted into the independent investment advisor space, which gave him better tools and resources for his clients. Additional, Jeff completed his Certified Financial Planner certification in 2006 to further enhance his education and better equip him to help clients. After 10 years in the independent space working with and learning from other excellent advisors, Jeff launch his own RIA firm, Guideline Capital Management. GCM is designed from the ground up with clients in mind and is the culmination of a vision for service and success Jeff had over 17yrs ago. Jeff has been married to his college sweetheart, Kari since 2000. They have two kids, Gracyn and Dalton, and live in McKinney Texas. When not working Jeff loves to spend time with his family and friends, enjoys good food, concerts, travel and being involved with his church family at The Parks church.